Microscopic laser inscription services on diamonds and colored stones are provided by GWLAB. The laser inscription process is carried out by experts using a state-of-art 'cold laser'-technology instrument. The inscription is usually performed on the gem's girdle, however it can be placed anywhere according to the client’s preference. The laser inscription service offers the client the option to add the GWLAB's report number, the client’s own text and/or a company or brand logo. 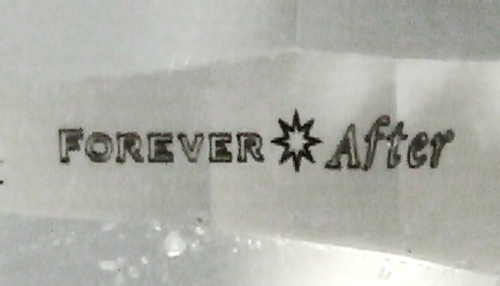 A customized inscription, ordered by the client, allows one to add a dedication to the gem (e.g. 'to a specific beloved one Happy 25th Anniversary!') or to promote a company or brand name (e.g. 'My Diamonds Ltd.'). 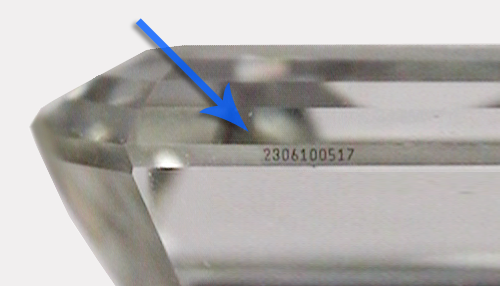 All inscriptions on the gem are stated in the GWLAB's issued report. Therefore, if the client chooses to inscribe GWLAB's report number on the gem, this would provide an additional means to compare and identify the gem and to associate it with the accompanied report.